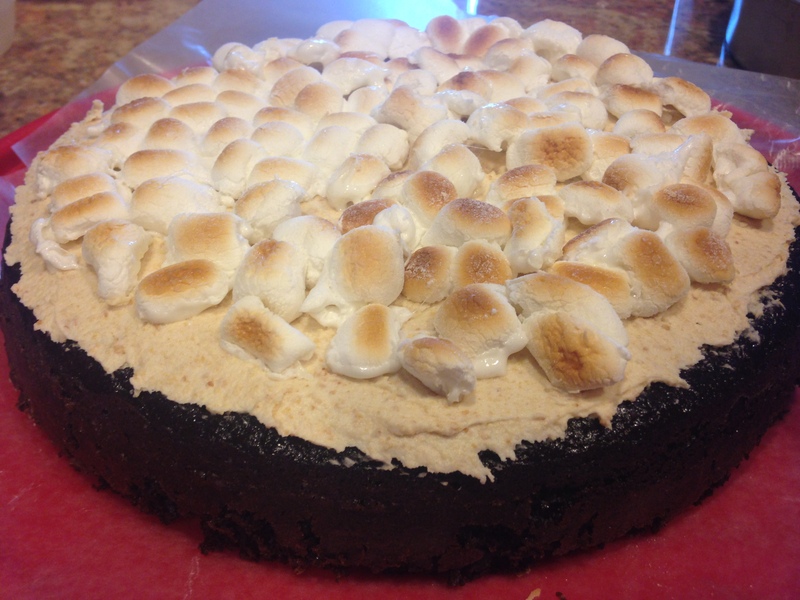 Rich chocolate cake, creamy graham cracker frosting, and perfectly toasted marshmallows… I had a dream about this cake the other night. It was a week after the last slice of cake was finished and the plate was licked clean, and I had a dream about it. It was like one of those commercials where someone raises the fork to their mouth and takes a bite in slow motion, with their eyes closed, savoring every crumb. I’m not even ashamed to tell you, because that’s how good this cake was. 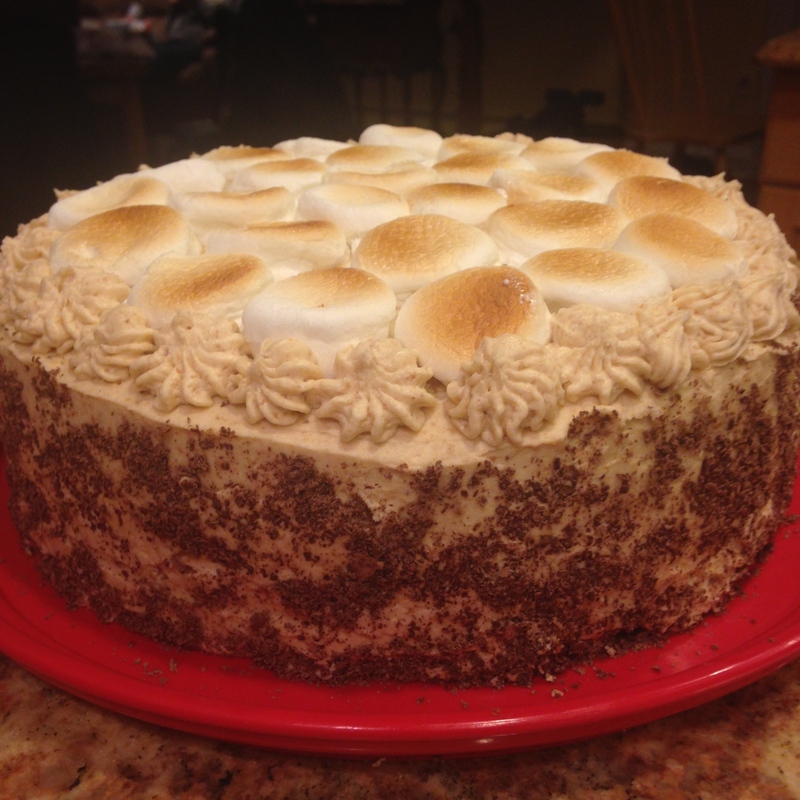 In addition to the fact that this s’mores cake was INCREDIBLE, I’m proud to say that it’s the first time I’ve (partially) made up a recipe myself. The chocolate cake recipe comes from Sally’s Baking Addiction’s Triple Chocolate Cake Recipe but the graham cracker frosting is an invention of my own, based on the Food Network’s vanilla buttercream frosting recipe that I posted last week. I personally love anything s’mores, especially because of the graham cracker flavor. 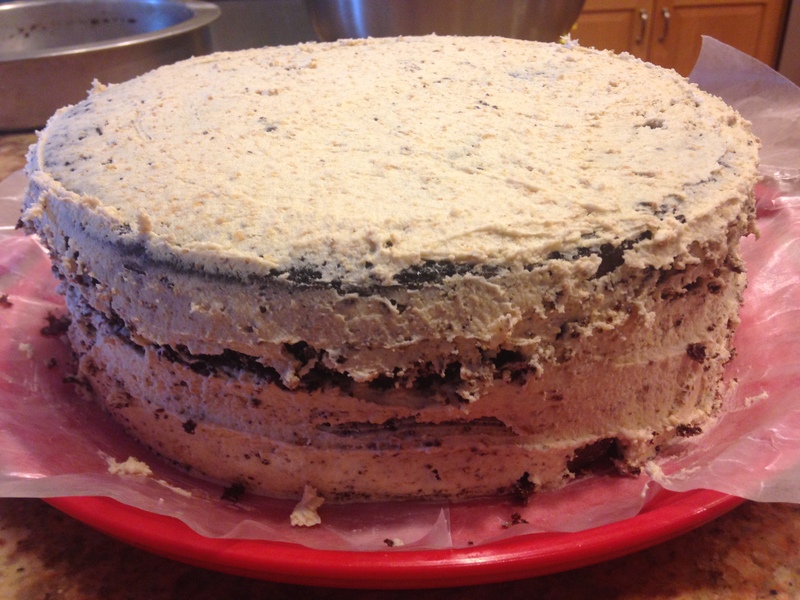 One day I had an epiphany – if I can make Oreo frosting with Oreo crumbs, why couldn’t I make graham cracker frosting with graham cracker crumbs? So that’s exactly what I did, and I couldn’t be more pleased with the results. 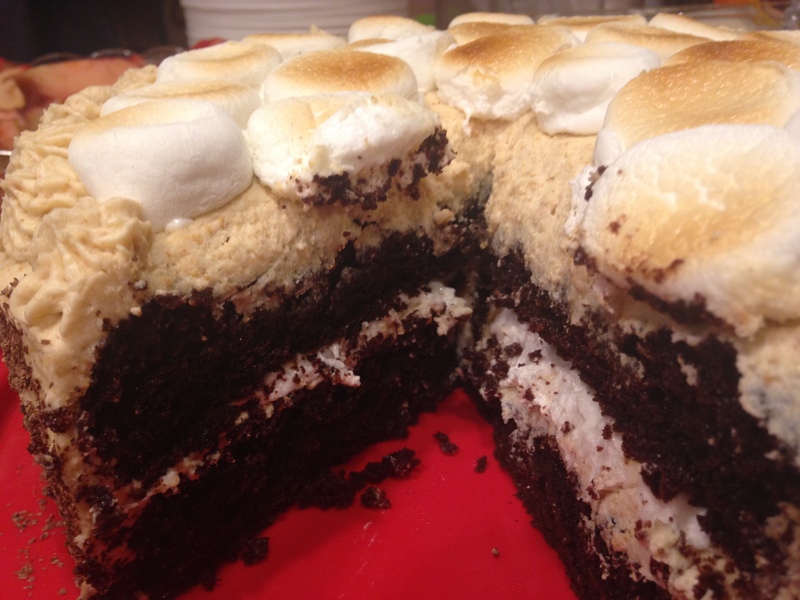 Combined with a layer of toasted marshmallows in the center and on top, this S’mores Cake is just heavenly. Part One: The chocolate cake. The cake itself is heavy and rich, so if you’re looking for a light and fluffy chocolate cake, this is not it. If that’s more your style, you might be better off using a boxed cake mix (not that there’s anything wrong with that…). 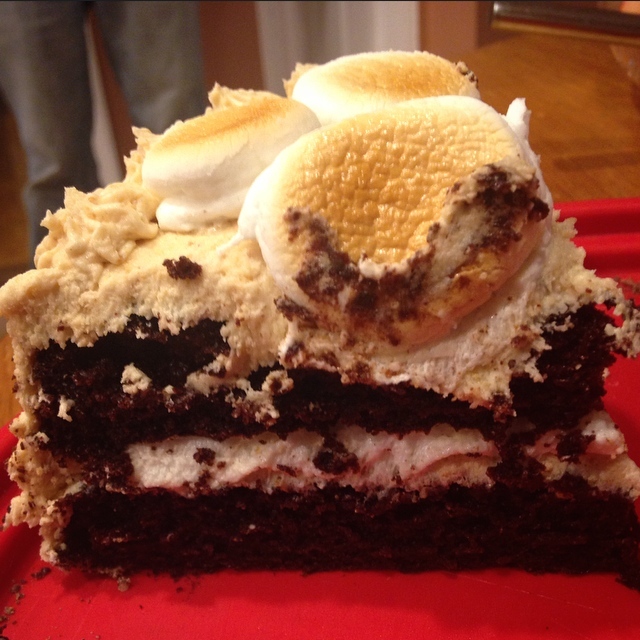 However, I do have to say that the richness and density of this chocolate cake really go well with and balance out the graham cracker frosting and toasted marshmallows. Heat the oven to 350 and grease and flour two 9-inch cake pans. Begin by sifting together flour, sugar, cocoa powder, baking powder, baking soda, and salt in a medium bowl, and then place off to the side. Sifting the ingredients together eliminates any clumps (especially in the cocoa powder) and helps ensure that all of the ingredients will be evenly distributed. Using a stand mixer, mix buttermilk, oil, room temperature eggs, and vanilla on high speed until combined. Slowly add the dry ingredients to the wet ingredients with the mixer on low. 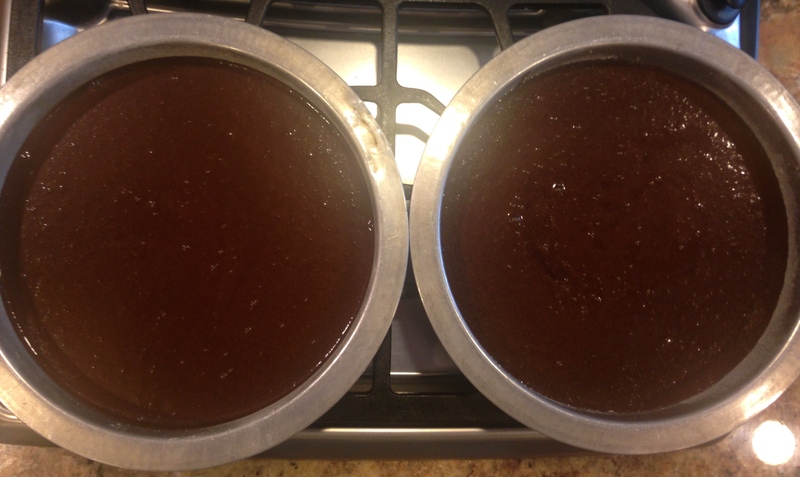 Finally, pour the batter into the cake pans and bake until a toothpick inserted in the center comes out clean. Just like the last time I made chocolate cake, I had to leave the cakes in the oven for significantly more time than the recipe called for. Sally’s recipe says to bake for 23-27 minutes, but mine were not ready until 35 minutes in the oven. Part Two: The graham cracker frosting. I used my favorite buttercream frosting recipe as a base and then added in a little bit of graham cracker crumbs and cream at a time until I felt the frosting had reached the right consistency. 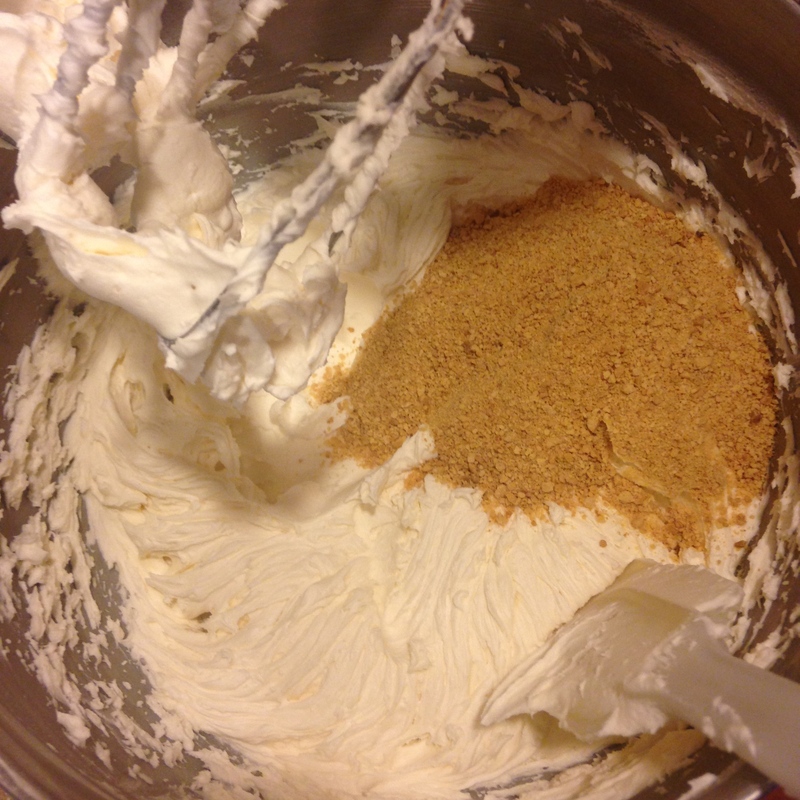 In the end, I added a cup of graham cracker crumbs and 3-4 extra tablespoons of cream (4-6 tablespoons total). Part Three: The toasted marshmallows. I used mini marshmallows for the center layer and large marshmallows sliced in half for the top. I chose this because I thought it would be easier to cut the cake if there were mini marshmallows in the center, but I wanted large marshmallows on top for aesthetic appeal. You’ll want to wait to do this step until you’re ready to assemble the cake. 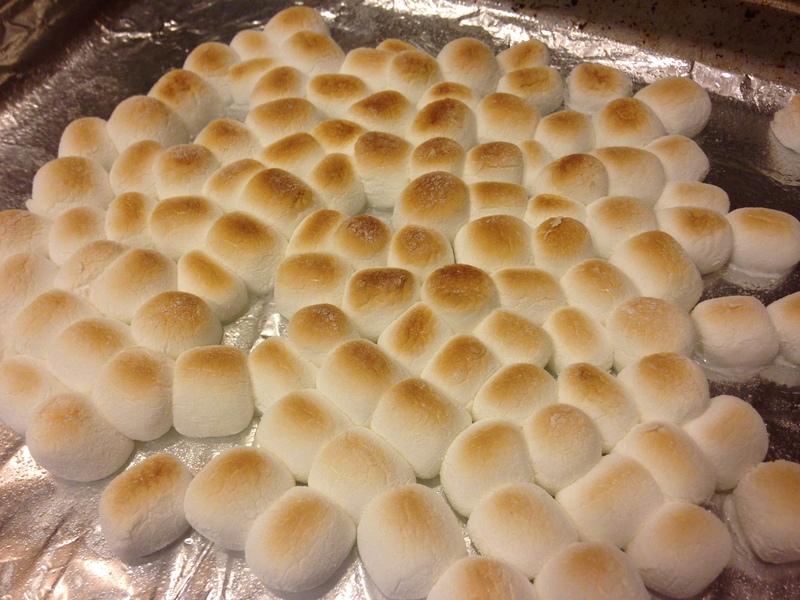 Cover a tray with aluminum foil, spray lightly with cooking spray, and scatter the marshmallows. Put your oven or toaster oven on broil and let the marshmallows cook for 2-3 minutes. Keep a REALLY close watch on them because once they start to brown, they burn quickly. Try and go for a lightly browned look like in the photo above. Wait for the marshmallows to cool before you put them on the cake. Part Four: Assemble the cake. Optional: put two pieces of wax paper overlapped underneath the cake so that you can pull them out after the cake is complete and you’ll be left with a clean cake plate. Cover the first layer of the cake with a thick layer of graham cracker frosting, and then a layer of the toasted and cooled mini marshmallows. Don’t go all the way to the edge with the marshmallows because you don’t want them to ooze out when you place the second layer of cake on top. After placing the second layer of cake on top, cover the whole cake with a thin layer of graham cracker frosting. This is called the crumb coat, and it’s used as a first layer to catch all of the loose crumbs from the cake. After the crumb coat is done, place the cake in the refrigerator for 15-20 minutes (or longer) until the frosting has slightly hardened. Remove from the refrigerator and cover with a final coating of frosting. Then decorate with a layer of toasted marshmallows on top (again, I used large marshmallows sliced in half and then toasted for the top) and whatever else you’d like to decorate your cake. I went around the top of the cake and made little starburst things with a piping tip, and I pressed chocolate shavings around the sides. Even with just the toasted marshmallows on top, this would be an impressive looking cake. Part Five: Eat your face off. For the cake: Preheat the oven to 350 degrees. Butter and flour two 9-inch cake pans. 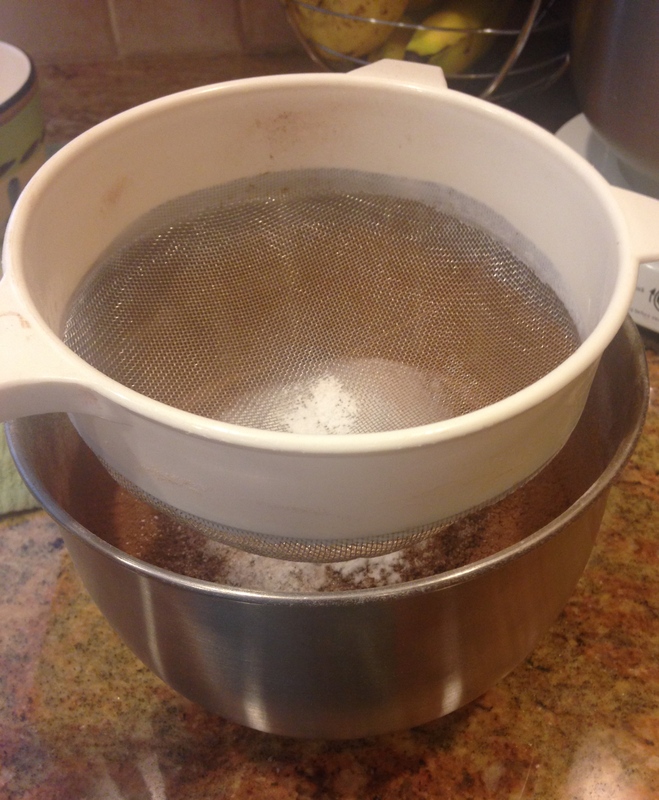 Sift together the flour, sugar, cocoa powder, baking powder, baking soda, and salt in a medium sized bowl and set aside. 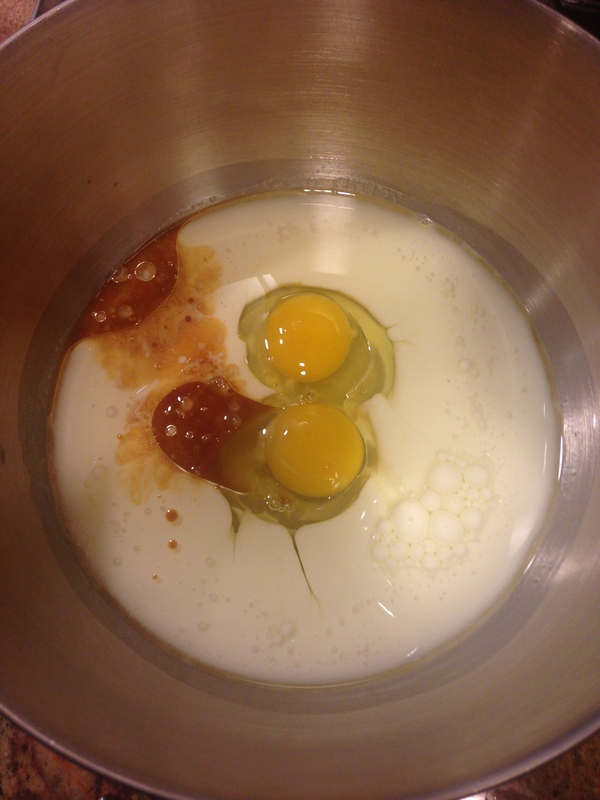 In the bowl of a stand mixer, mix buttermilk, oil, room temperature eggs, and vanilla on high speed until combined. 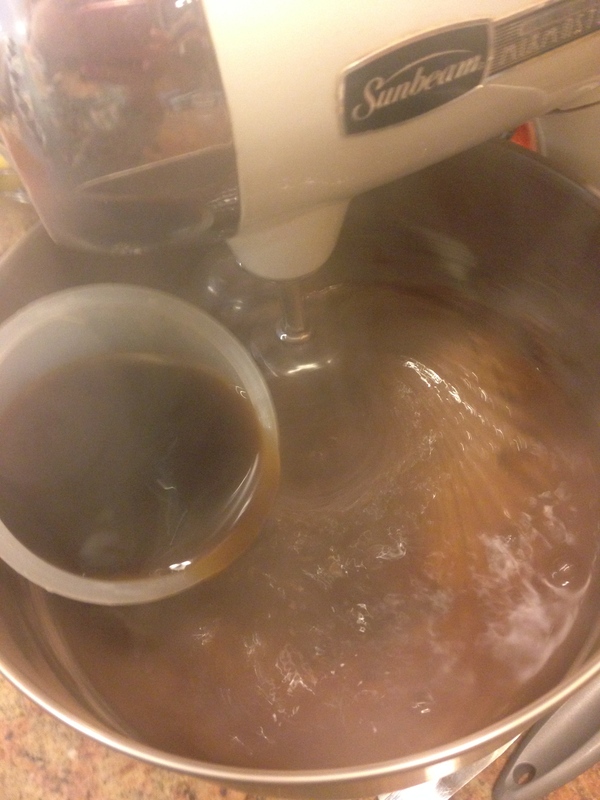 With the mixer on low, slowly add the dry ingredients to the wet ingredients. Slowly add in hot coffee and continue mixing on low until combined. Pour the batter into the prepared pans and bake for 23-27 minutes or until a toothpick inserted in the center comes out clean (note: I had to leave my cakes in the oven for 35 minutes). Allow cakes to cool for 10 minutes and then remove from pans. Add vanilla and 2 tablespoons of cream and continue to beat on medium-high for 1 minute. Add in graham cracker crumbs and beat until combined. Then add 3-4 more tablespoons of cream, 1 tablespoon at a time, until frosting has reached desired consistency. For the marshmallows: Cover a tray with aluminum foil, spray lightly with cooking spray, and scatter mini marshmallows on the tray. Put your oven or toaster oven on broil and let the marshmallows cook for 2-3 minutes until lightly browned. Assembly: While marshmallows are cooling, cover the first layer of cake with a layer of graham cracker frosting. Then cover the frosting with a layer of cooled toasted mini marshmallows, leaving about 1/2 inch clear around the edge. Place second layer of cake on top and cover with a thin layer of frosting. Refrigerate for 15-20 minutes. While cake is being chilled, prepare marshmallows for the top layer. Either use large marshmallows sliced in half, or more mini marshmallows. Prepare the same way as in step 8. 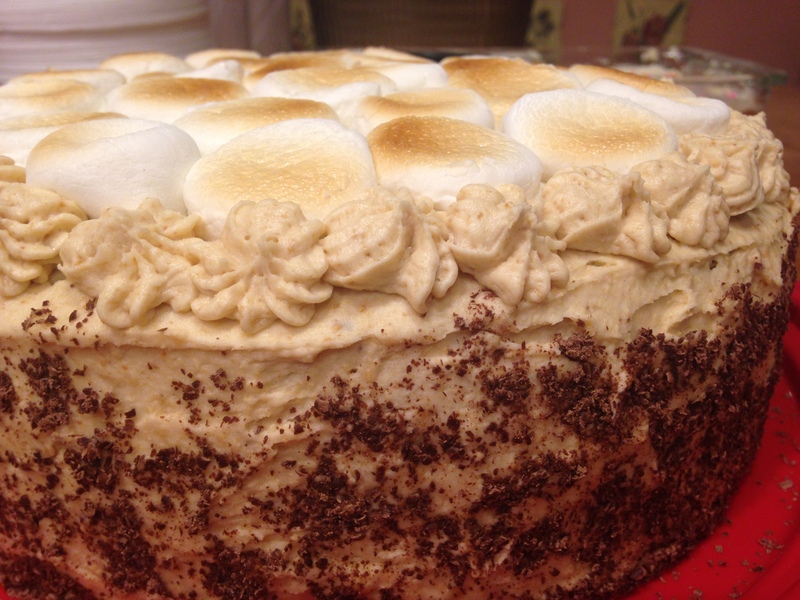 Remove cake from fridge and cover with a second layer of graham cracker frosting. Top with toasted marshmallows and any other desired decorations. *Feel free to use only mini marshmallows or only large marshmallows, just as long as you have enough to cover the middle layer and the top of the cake. **For more detailed instructions and tips on making the frosting, see my previous post on Vanilla Buttercream Frosting.